Hello Everyone! Today I am sharing another take on shaker cards. I am still struggling with waiting till my glue fully dries before I shake it leaving some of my sequins stuck to the edges. I guess I'm not patient enough or something. Today's card features an image by Jade Draggone. You can see all her amazing images here. I spent a lot of time in Adobe Illustrator designing the seashell for the shaker. I think it turned out good. And here is the inside. I used purple and teal sequins for the inside of the shaker and used my Cricut to cut some craft foam out in the seashell form to raise the shaker. Hope you see a bit of inspiration today!! Thanks for reading!! Today I am so excited to FINALLY share my Circle Scalloped Easel Card Template with you all. Over the last couple of weeks I have been sharing different projects that I have made with this template. One of the reasons I have made several projects with this template is because I wanted to test and fine tune the cutting file, the other reason was to show how much potential this SVG has. The pictures above show exactly all the cut elements, and the picture below shows the card after it has been embellished with flowers, ribbons, lace, and colored stamped images. There is just SO MUCH potential for this card and I hope you enjoy the free file. So without further ADO, here is the instructions on how to receive the free SVG file. All I am asking is that you follow my blog along with at least ONE of my social media links. You can choose from my FACEBOOK, my INSTAGRAM, my PINTEREST, or my ETSY SHOP. Once you have followed my blog and at least ONE other of my sites, go HERE and fill out the form stating you have followed the instructions and tell me where I can send the file to. After I confirm everything you will recieve the link to download the file. Once you have downloaded the file and used it, please feel free to leave a comment a telling me how you like it If you post a picture on your blog or social media please feel free to post that as well so I can go and comment on it!! I look forward to seeing what you all think of my file! 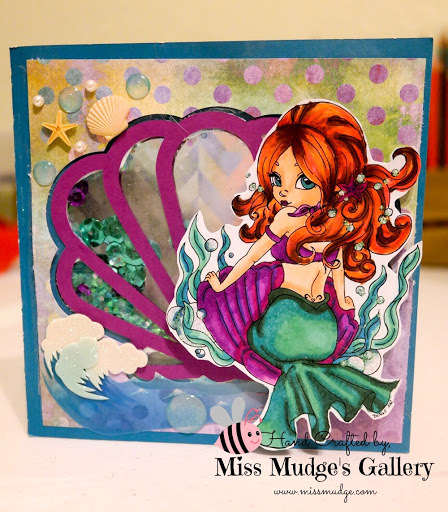 Today I am sharing another Scalloped Circle Easel Card. Today I am featuring a cute Sasayaki Glitter Digital Stamp that I colored up for November 1st New Release. 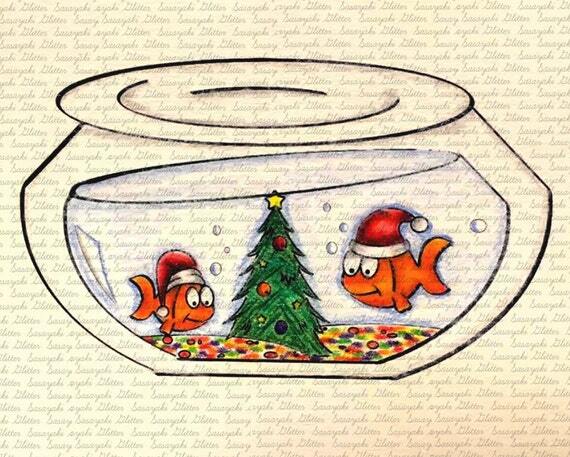 The image is called Christmas Fish. I thought the shape of the fish bowl complimented the shape of my Scalloped Card pretty well. I colored the image with Prismacolor pencils and Canson Mi Tientes Cardstock and accented with some handmade poinsettias and greenery from my stash, along with some sequins, fun patterned paper and some ribbons. Here is a closeup of the colored image and sentiment. Like all my other Scalloped Circle Cards, I used the SVG that I designed in Adobe Illustrator along with a sentiment that I designed as well. I do hope that you will come back later this week (Possibly this weekend) to see how you can get my SVG for free! Here is the original colored image for Sasayaki Glitter and as always for more super cute images, challenges, freebies, and inspiration check out the Sasayaki Glitter Challenge Blog and Facebook Group. Hi friends! 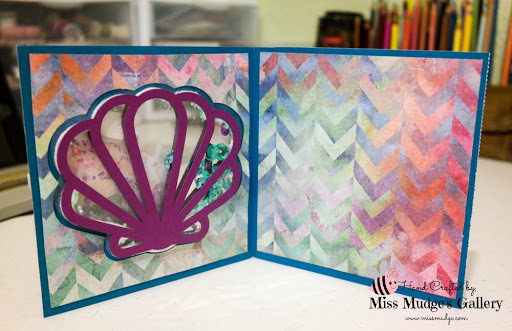 Today I am sharing a fancy fold carConie Fong Arts and Design. I decided to use blues and oranges because it was the color combo that inspired me for the moment! I used Prismacolor Pencils as the coloring medium and Canson Mi Teintes cardstock, and then accented the image with some great die cuts from SVG Cuts freebies and some mulberry roses and handmade flowers. I LOVE the outside of this card, but the real highlight is what is inside. I am OBSESSED with fancy fold cards, so I used the 4 step template that I whipped up in adobe illustrator to be used with my Cricut Explore. Here is the list of challenges I am entering this card into. Thanks for reading all! I hope you have experienced a little bit of inspiration today! Today I am sharing a card that I created using this Super Cute image I got to color up for the Sasayaki Glitter Digital Stamps October 15th Release. 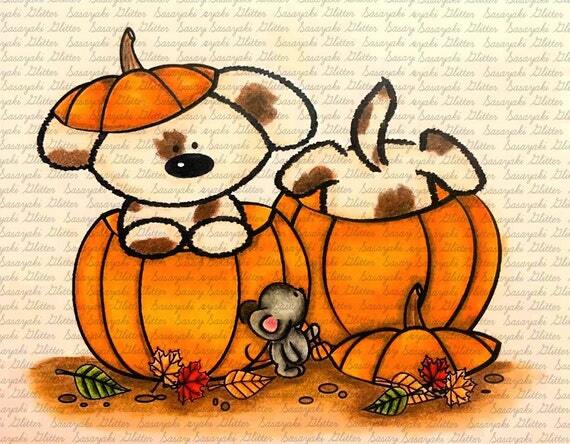 This image is called Halloween Pups and you can purchase your own copy here. I love this image because it has more of an Autumn Tone than Halloween so you can use it for ALL your Autumn Themed Cards and Gifts, not to mention it is ADORABLE! I used a template that I created in Illustrator as an SVG file for the card. This template has made it SUPER easy to cut out all my elements making my card making time way faster than normal. Keep your eyes peeled for more about that on a later post! I also created the sentiment myself in Illustrator. I am getting to the point where I like designing in illustrator almost as much as I like coloring and card making! Here is a close up of the inside of my card. I accented the card with some harvest shaped buttons and some of my handmade cream colored roses. 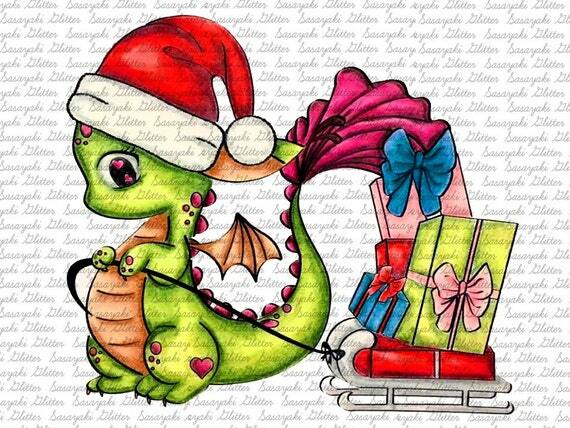 And here is the original Image I colored for the Sasayaki Glitter Digital Stamps October 15th Release. For more great inspiration and latest news on new releases check out the Sasayaki Glitter Challenge Blog. Hope you all enjoyed my card and are inspired to get crafting! Thanks for reading! Hello! 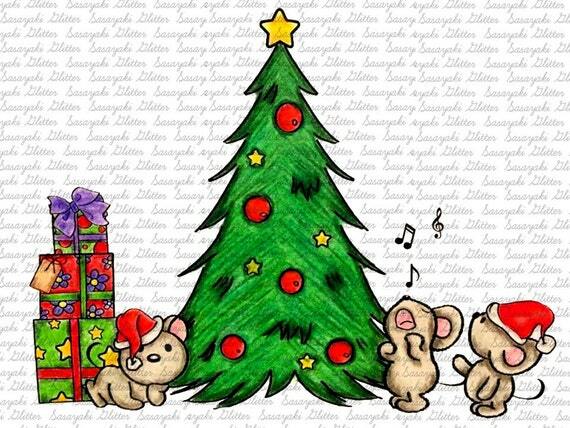 Today is November 1st new release day for Sasayaki Glitter Digital Stamps, This month the theme is all CHRISTMAS!!! I had the pleasure of coloring three ADORABLE IMAGES for the Release, and I hope they inspire you with possibility of these images. There is also a 24hr Freebie on the Sasayaki Glitter Facebook Group as well as a new Challenge is up on the Facebook Group. Without further ado, here is my coloring!!! This is Christmas Couple .